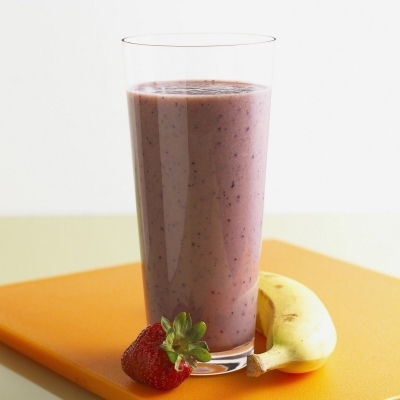 Delicious and Healthy Stawberry and Banana Smoothie! Very simple and quick to make! Combine the strawberries, non-fat milk and banana with 5 ice cubes. Blend until perfectly smooth, add whey protein and blend for 1 minute. Add any desired toppings such as stawberries or other berries. Enjoy!